Scott Olson/Getty ImagesWe’ve got plenty. The world runs on oil. That goes without saying. And for much of the 20th century, the world ran on cheap oil. In the early 21st century, however, that briefly changed. When I moved to Los Angeles from New York in 2004, I could find gas for about $US1.25 a gallon. The joke at the time was that bottled water was more expensive. By 2009, the price had spiked to over $US4. The highly profitable, environmentally unfriendly, gas-guzzling big truck and SUV market was completely obliterated for the Detroit carmakers — at the worst possible time. General Motors and Chrysler went bankrupt. Ford’s stock fell to less than $US2 a share. Back, then, you heard a lot about “Peak Oil” — the theory that all the easy-to-get crude had already been found than that global production had “peaked” and was destined to begin a slide to some future point when gas would be $US8-10 a gallon. Or more. Or much more. Hybrid cars became thick on the roadways. GM started to take small cars seriously for the first time ever. Electric-car startups sprang to life. Some of the more apocalyptic-minded folks began to talk about living in darkness and oil at $US200, $US300 a barrel. But then the North American shale boom kicked into high gear. Fracking, combined with an influx of more fuel efficient car engines, simultaneously increased oil supply and depressed demand. Demand in the developing world kept the whole thing afloat, price-wise. Now we have a total reversal: with oil well below $US100 a barrel and growth slackening in developing markets, there’s talk of a global oil glut, of fracking enterprises going out of business because they can’t manage the economics, and of the U.S. becoming an exporter of oil. The oil market has entered a new era, the experts are saying. The International Energy Agency, which typically refrains from predicting oil prices, said in its monthly report that prices could fall further in 2015 after declining to their lowest levels since 2010: below $US80 per barrel . “While there has been some speculation that the high cost of unconventional oil production might set a new equilibrium for Brent prices in the $US80 to $US90 range, supply/demand balances suggest that the price rout has yet to run its course,” the IEA said. That’s right: it isn’t Peak Oil — it’s a price rout! Barring any new supply disruption, “downward price pressures could build further in the first half of 2015”, the IEA said. 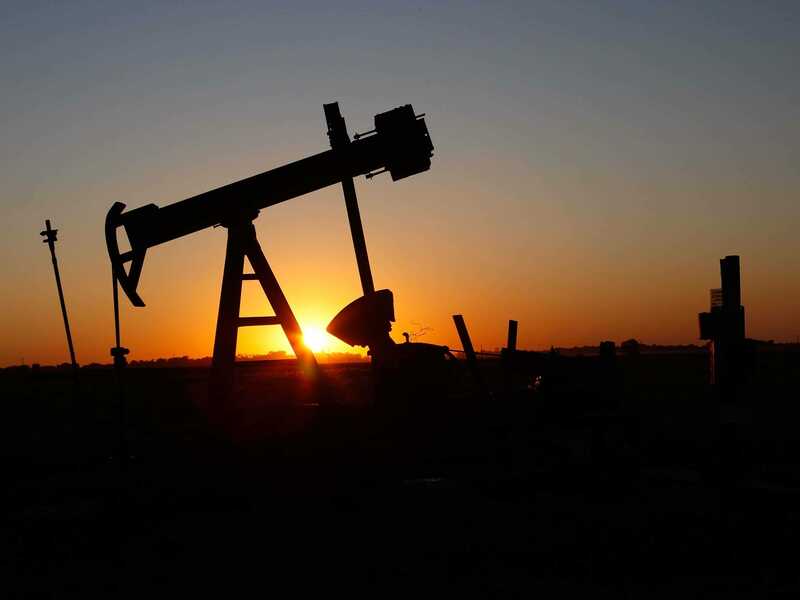 Oil prices have fallen 30 per cent since peaking in June, pressured by a strong U.S. dollar and rising U.S. light oil output while largely ignoring the impact of Libyan supply disruptions. Benchmark Brent crude oil was up 50 cents at $US77.99 a barrel on Friday, having dropped from above $US115 in June. “Pressure on OPEC to reduce production is building, but at the time of writing there appeared to be no clear consensus on a formal supply cut ahead of its meeting in Vienna later this month,” said the IEA, which represents industrialized nations. For 2015, the IEA left its forecast of global oil demand growth unchanged at 1.13 million from a five-year annual low of 680,000 bpd in 2014, saying the macroeconomic backdrop was expected to improve. While China, the top source of incremental oil demand in recent years, has entered a less oil-intensive stage of development, years of high prices have helped new technology release oil resources in North America and elsewhere. “It is increasingly clear that we have begun a new chapter in the history of the oil markets,” the IEA said. The IEA said supply risks remained “extraordinarily elevated” and could be exacerbated by falling prices.